Federal and Texas Litigation Attorneys - Oberheiden, P.C. In many federal cases, your attorney will choose to file a motion for summary judgment under Rule 56 of the Federal Rules of Civil Procedure. Often, both sides file competing motions for summary judgment. Such a motion is granted “if the movant shows that there is no genuine dispute as to any material fact and the movant is entitled to judgment as a matter of law.” A motion for summary judgment may be “traditional,” in which you assert that the facts demonstrate that your side should win, or it may be a “no-evidence” motion, in which the argument is that the other side cannot present any facts for one or more elements of a cause of action or defense on which they have the burden of proof. At the most obvious level, then, the goal of a motion for summary judgment is to win the case without the necessity of trial. It is important to note the details of the requirements necessary to win a motion for summary judgment. Your attorney does not have to prove that there is not any argument as to any fact at all. Instead, the dispute must be genuine. In other words, the opposing party cannot just declare that they disagree with one of the facts that support your case. In order for a dispute to be genuine, the other party must have some evidence to show that the fact you have presented to the court may not be true. For that reason, motions for summary judgment are usually filed after discovery is over and shortly before trial, so that both sides have all of the facts they need to present evidence for or against a motion for summary judgment. Keep in mind that you, too, will have to present evidence of the facts you want the court to accept as true. Additionally, the fact in dispute must be material. That is, whether or not the fact exists must be reasonably likely to have an effect on the outcome of the case. For example, in a contract dispute, the parties may disagree on the date on which the contract was signed. Unless the date is relevant to the case for some reason – because of a statute of limitations or to prove that one party could not actually have signed on that day – this fact is unlikely to be material to the ultimate resolution of the case. Even if you are unlikely to win a motion for summary judgment, your lawyer may choose to file one for two additional reasons. First, a motion for summary judgment may narrow the issues in the case. For example, if you are a defendant and the plaintiff has asserted seven causes of action against you, a motion for summary judgment might succeed in eliminating one or more of those causes of action. In turn, this will make the trial shorter, more compact, and easier for the fact-finder to understand. Second, a motion for summary judgment can force your opponent to “show their hand” and reveal the evidence that they believe supports their case. This reason is especially compelling if you have the ability to file a no-evidence motion for summary judgment. For example, if you have been sued for unfair competition and file a no-evidence motion for summary judgment, your opponent will be compelled to file a response that references the evidence they believe supports each element of that cause of action. Once you know the evidence on which they will rely, your attorney can craft your rebuttal evidence and your requested jury instructions with a more practiced eye to tailoring them to the evidence your opponent will present. Motions for summary judgment are a vital part of almost every complex federal litigation. If you are involved in such a case, your choice of attorney is of utmost importance. Call us today to find out how we can assist you in preparing your case for summary judgment or trial. We are a team of former prosecutors, Department of Justice trial attorneys, and experienced litigators that represent clients in litigation matters involving business disputes, healthcare litigation, non-compete issues, securities, partnership and shareholder disputes, breach of contract, and employer interests in courts across the nation. Clients interested in learning more about our civil litigation practice should contact the following attorneys directly to find out how we can assist with our litigation skills and experience. Nick Oberheiden (nick@federal-lawyer.com) has been involved in complex federal litigations in Los Angeles, Miami, New York, Dallas, Houston, and Washington D.C., to name just a few. Dr. Oberheiden is trained in negotiation strategies by Harvard Law School and he holds a Juris Doctor from UCLA School of Law, a Juris Doctor from his native Germany, as well as a Ph.D. in law. 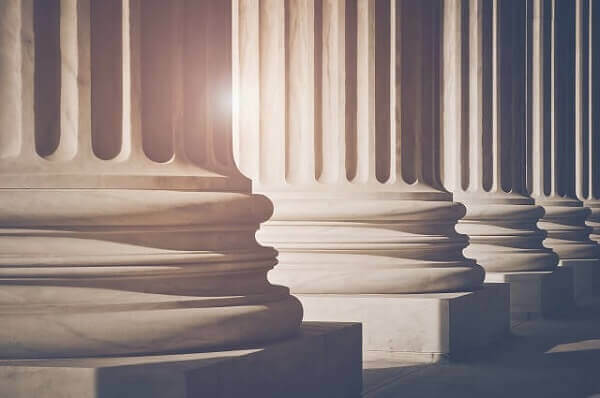 If you have questions about federal or Texas litigation, you should contact the experienced attorneys at Oberheiden, P.C.. Get a free and confidential consultation and benefit from talking to our trial attorneys and former federal and state prosecutors.